What your angels want you to know! 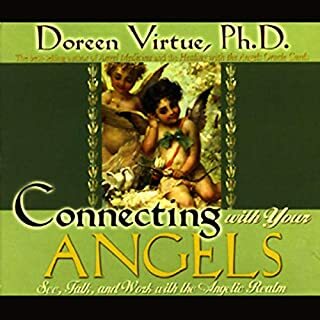 The angels, including Archangel Michael, provide healing messages that will help you discover your life's purpose, understand your romantic relationships, heal from emotional pain, and make crucial life decisions. I Love Doreen's Messages from your Angels!! The program starts with a morning meditation designed to begin your day with a bright, positive energy frequency and surround you with healing light. The relaxing evening meditation that follows clears away energy that you may have absorbed during the day, and invites angels to enter your dreams and give you divine messages. As a psychologist myself I was looking for meditations that I can replicate during stress management workshops and to liberate myself after listening during the day to other people's problems. So in a way, this is a meditation to help myself and to keep me prepared to help others. I like Doreen's voice and the music that surrounds the meditation. I like that they are short guided meditations (aprox. 24 minutes each) and that during the meditation I'm learning also to work with chakras. It's my first time working with chakras and I have a lot to learn about them. 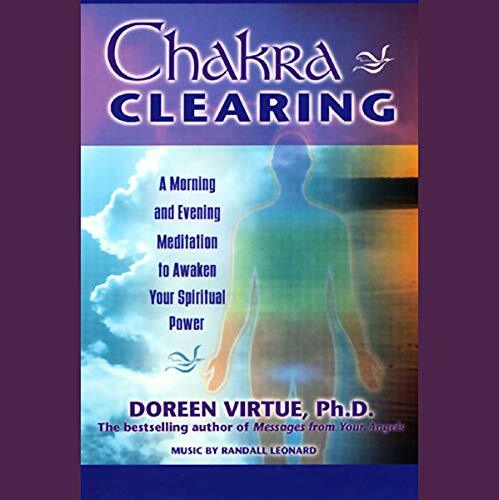 After buying this audible, I bought Chakra Breathing Meditations by Layne Redmond and it's good but not the same. As a long time believer, and chakra meditator, I found this recording to be both inspirational and uplifting. The morning meditation will energize you and set you in a proper frame of mind for the events that will follow in your day. The evening meditation relaxes and prepares you for a restful and peaceful night's sleep. There is also music following each meditation that allows you to continue with your own personal thoughts and feelings after the guided portion has ended. Truly the best guided chakra meditation that I have ever purchased. Well worth the expense. New to Chakra or any New Age stuff, I got this as a way to relax and learn something about chakra. At first, I was completely disappointed. I thought the words she was saying and repeating was so silly, and though the background music was soothing, the poor sound quality killed it. But after listening to it for a couple of times, I came to like it. Still I wish the sound quality could be better, but it is a decent one to relax with. I loved this very much! I am a Spiritual Medium/ Spiritual Advisor, I love to meditate! 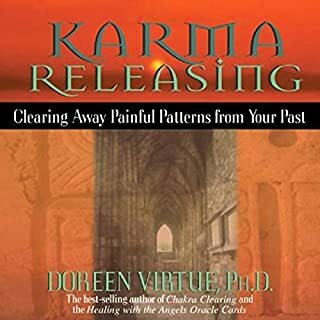 I am always loving Doreen, and this really helped me very much, It just was soo soothing and is always an amazing experience! It took me to an extremely higher level. The quality isn't that bad, you just need to block that out when you mediate, just like you block out everything else, when you mediate you are no longer on earth you are at a spiritual level. Her voice is very soothing, relaxed me right away! 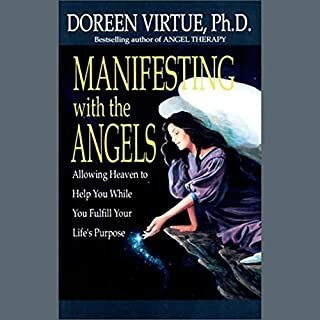 So i do recommend Doreen Virtue!!! It took me a little while to get used to Doreen's tone of voice but now I'm absolutely loving it. It's a very good length - around 20 mins for each meditation (one for morning, one for night) so I just set my alarm 20 minutes early in the morning and sit with a candle & listen... which starts the day off perfectly. Highly recommended. I have been meditating for over 20 years and I was looking for something that could help me to enter into a sacred space on the Bay Area Transit System. I placed the headphones on my head, turned on my Ipod and within minutes I was bathed in an soothing, tranquil energy of love and inner peace. It did relax me and center my Chakras and set the intention for me to have a day filled with joy and inner peace. I highly reccomend this recording for anyone wanting a way to enter the silence even if you are surrounded by percieved Chaos and Stress. 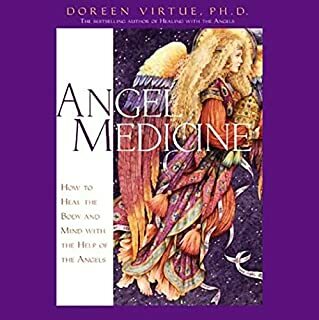 This was my first Doreen VIrtue tape and still one of my favorites. It has 2 mediations, one for the morning and one in the evening to help you get going and release all the stress of the day. I listen to this every morning and night. I was surprised there were two meditations. One for morning, and one for evening. 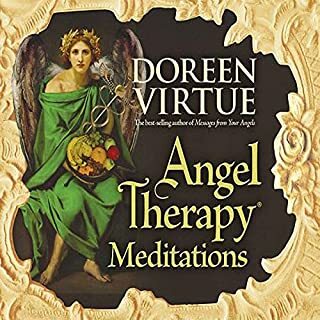 I love doreen virtue's books, and wish she would write more, and add more to audible. This was my first listen through, but plan to listen again, and again. I feel calm, centered, and comfortable now. These meditations are a wonderful way to start and end your day and to stay clear and focused on the spiritual. 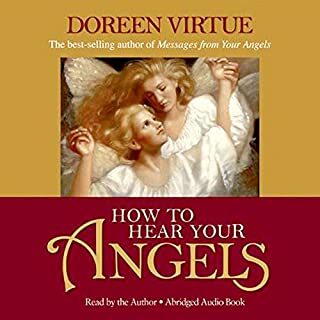 I love Doreen's soothing voice and the pace of the meditations. I absolutely love it, so relaxing and cleansing! I love the fact that if you have an open heart and mind....it works wonders. Would you listen to Chakra Clearing again? Why? Yes. The AM meditation is fine. And as I listen to the PM meditation I can guess where the changes from chakra to chakra is to happen even though it is not at first clear. The chapter breaks seem random and bear no relation to content.. They often cutting into the last word. It was distracting as I tried to meditate. The PM meditation seemed to have no clear change from one chakra to the next and a bit guess work is needed at times. As I listen I am begining to predict where the changes are and adjust my focus accordingly. The AM meditation is great which only made the PM meditation more disappointing. Doreen's voice is soothing and easy to listen to.. It is such a shame about the poor editing. It could have been a great experience. Still, I will listen to it regularly and work around the flaws, at least until I find something else. I liked the step by step clearing of each chakra and the affirmations with them Although I think a bit more space could have been given for you to repeat them. I also liked that it was structured for the entire day! Let’s have more of this please. The perfect Chakra clearing, sleep bringing, day welcoming book I've ever listened to. Love it! Doreen has such a soothing voice. The content is great, gradually during the meditation I would feel my chakras pulsating and definitely felt more energetic afterwards. It would have been nicer, though, to record the morning and evening meditations as just two separate chapters instead of splitting them across several chapters. I think the editing could have been better. A calming way to begin and end my day. I find listening to Chakra Clearing Meditation at the beginning and end of my day, very informative, loving and beneficial to my well being. At night I find it very soothing and it helps me have a peaceful night's sleep. In the morning it is equally as beneficial reinforcing my knowledge of the chakras and my healing colour of the day, also bringing me love and protection from my guardian angels. It does what it says on the Tin!! A guided meditation for clearing your Chakra.